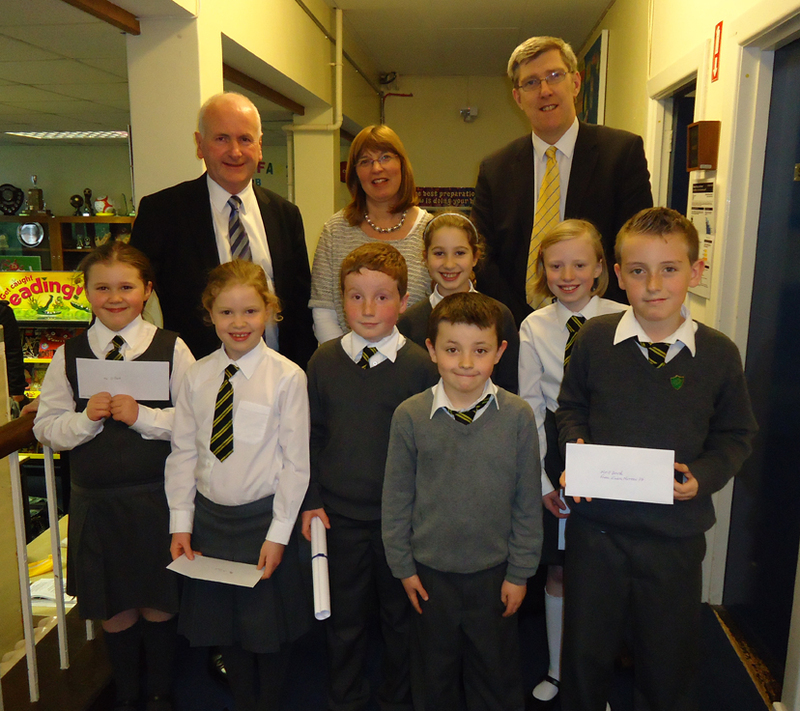 Following an invitation from local MLA, Mr. Gordon Dunne, the Education Minister, Mr O'Dowd, visited Holywood Primary School on Wednesday 14th November. Whilst seeing what goes on in HPS on a daily basis, we took the opportunity to highlight the need for new school builds in Holywood. Priory College and Holywood Nursery School have also been campaigning for new school builds for many years. A number of our children presented Mr O'Dowd with letters pointing out the need for a new primary school in Holywood and the significant difference it would make to their learning and also many other children in the future. Posted on November 15, 2012 by Holywood Primary.